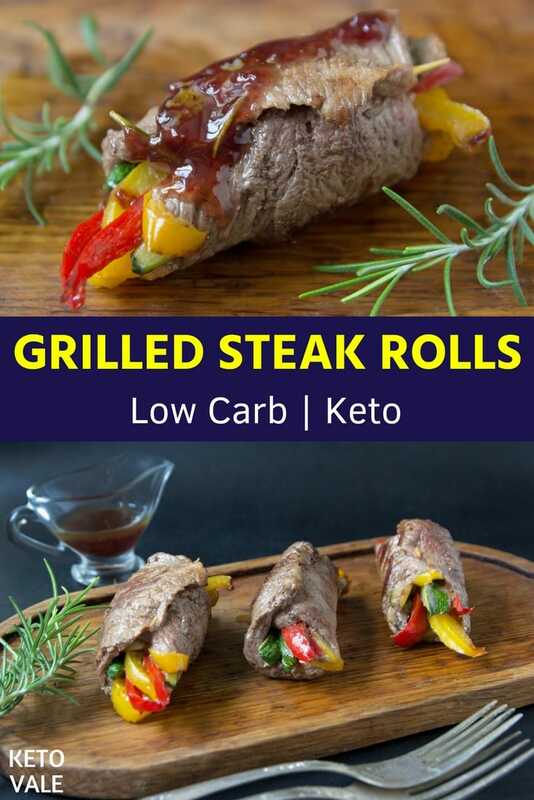 Steak rolls are a great way to show your sophisticated taste at dinner parties or to bring them with you to guests, it’s also one of the basic ketogenic diet lunches and dinners. 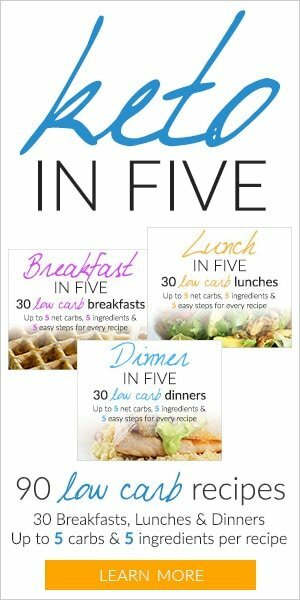 Sirloin steak or flank steak is perfect for this recipe. Now that you are done choosing the meat for the rolls, it’s time to make the filing. 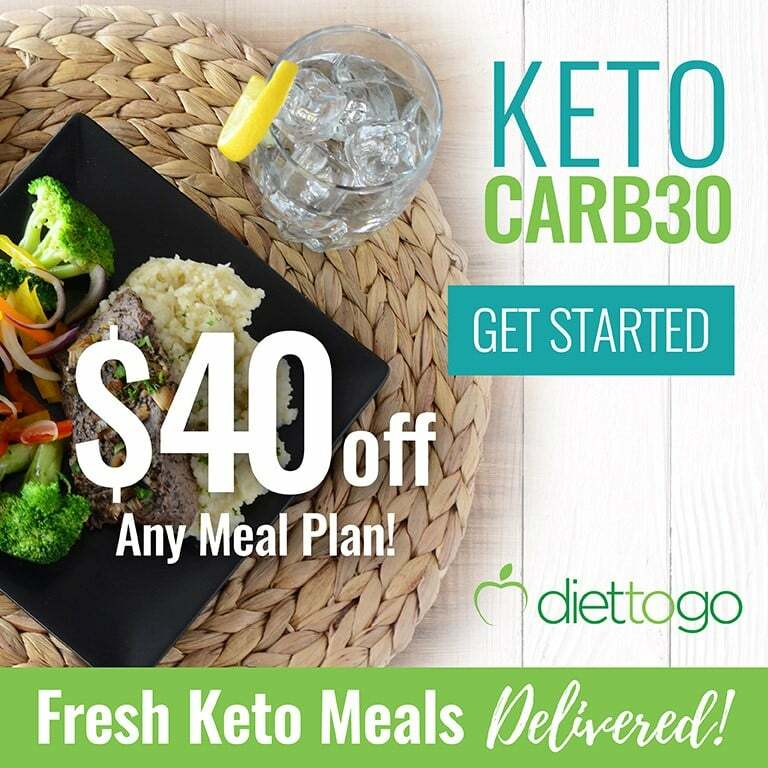 Basically, any low carb vegetables are a good choice. Try making it colorful by mixing different color bell peppers. Nowadays at the market, you may find even white, orange and purple bell pepper together with classical red, yellow, and green. 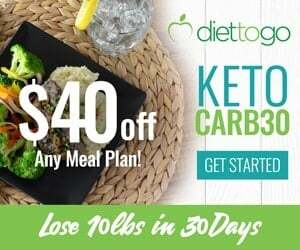 Since a lot of ketogenic foods are origin from the Mediterranean and Asian cuisine you may also change white mushrooms into shiitake and think about adding olives (but then use olive oil from the same region). Next is the glaze crucial part of making glaze really delicious and shiny is adding some kind of sweetener, in our case it’s erythritol don’t be afraid of making it sweet. There is where that salty sweet taste of meat comes out. 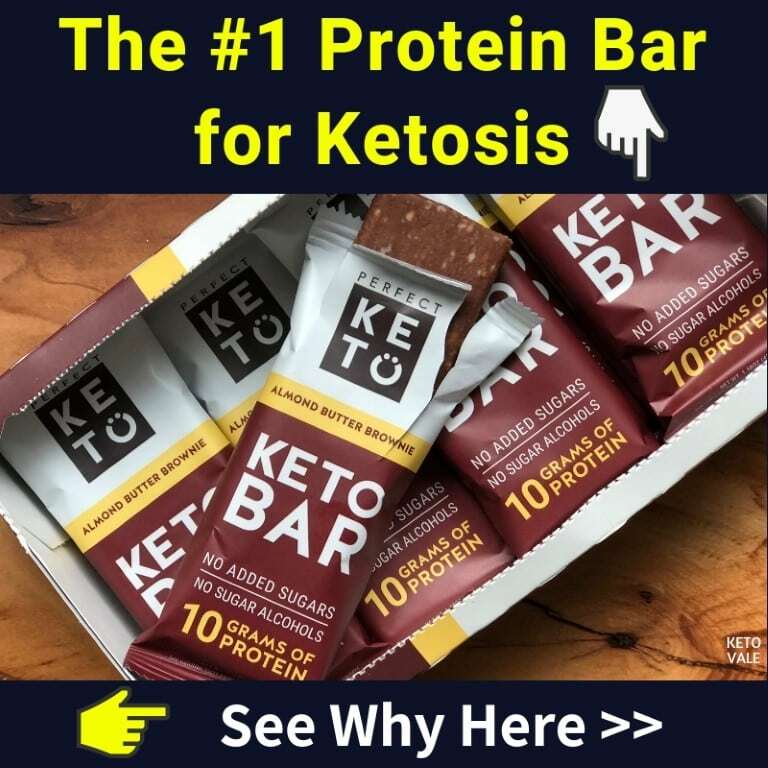 You can use erythritol or any keto sugar substitute. Crush garlic with the back of a knife and chop it, then stir-fry until its slightly gold, if you keep garlic on a pan for too long it will give off bitter taste to the meat. 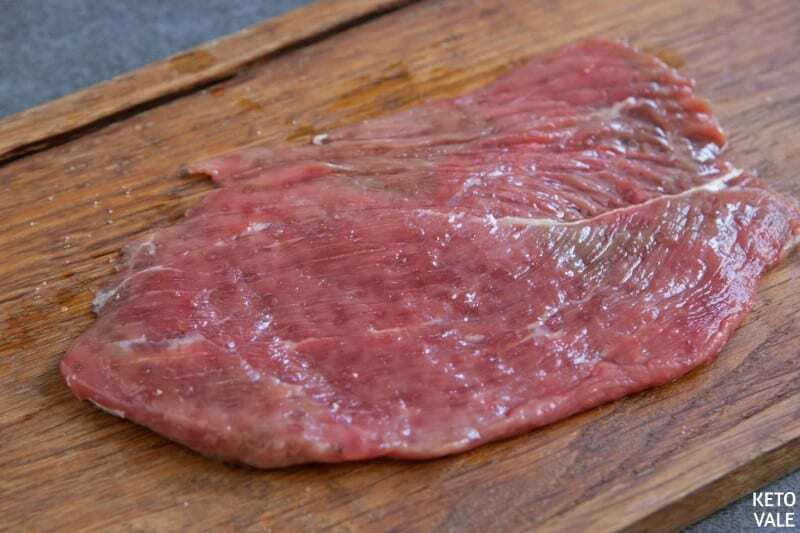 Don’t be shy and pour on lots of that sauce on meat to keep the crunchy surface and juicy soft steak underneath. 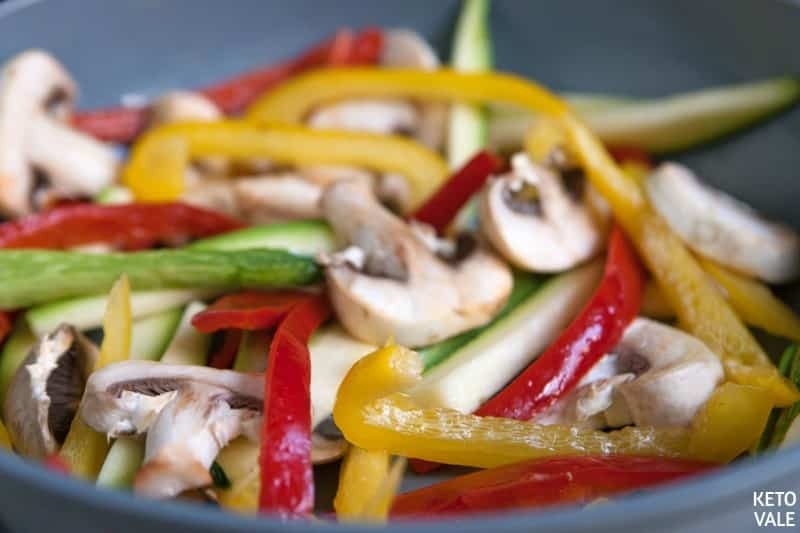 Prepare the fillings: Slice mushrooms and bell peppers into long and thin strips. In a frying-pan, add olive oil in and stir-fry them until tender. Add salt and pepper to taste. Set aside once cooked. 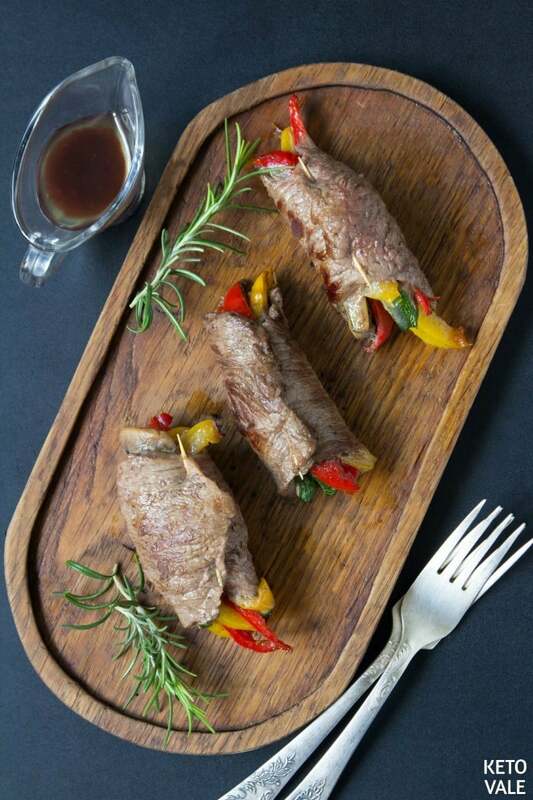 Prepare the rolls: Lay the steak pieces flat on a cutting board and sprinkle salt and pepper as well as olive oil. Add the veggies fillings vertically on each steak then roll it up. Use a toothpick to secure the steak. 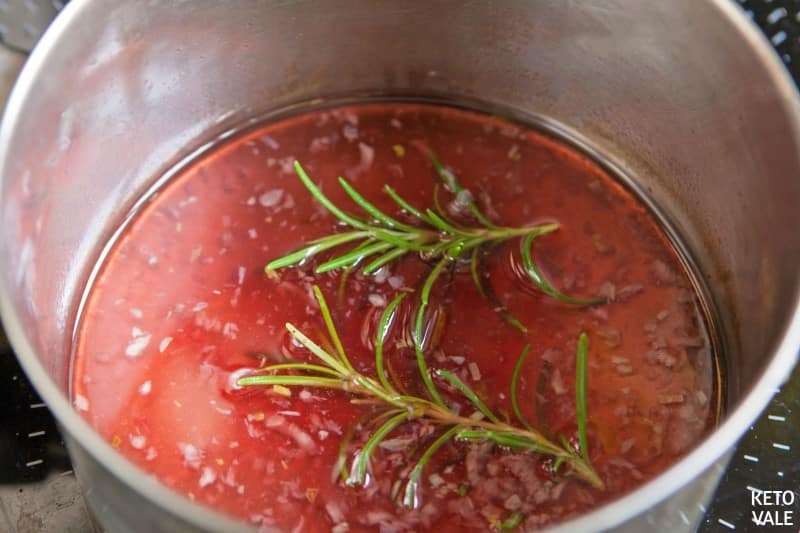 Prepare the vinegar-glazed sauce: in a saucepan over medium heat, add olive oil and chopped garlic in and cook for 1 minute. Add apple cider vinegar, sweetener, wine, rosemary and bring to a boil. Add broth (or water) bring to a boil again, then reduce the heat and simmer for around 10 minutes. 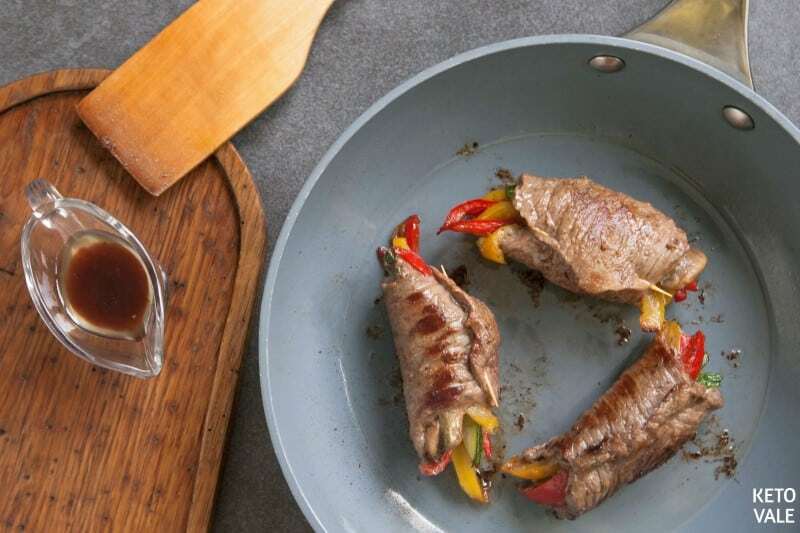 Some people might use balsamic vinegar to make balsamic glazed steak rolls. However, balsamic vinegar has more carbs compared to cider or white vinegar so if you want to keep the carbs low, stick to apple cider vinegar. Cook the steak: You can grill, bake or pan-fry or sear the meat. 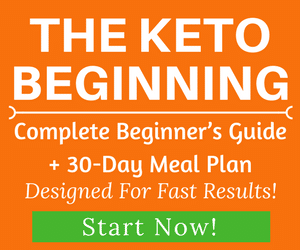 All of these methods work well. For a quick demonstration, we just pan-fry it in a skillet with olive oil. 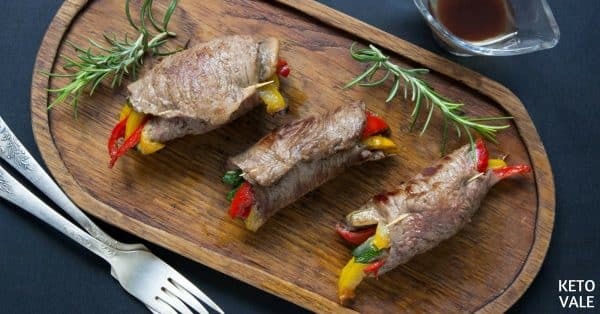 Fry the steak rolls for 2-3 minutes on each side then remove and drizzle with prepared glaze and serve! Slice vegetables into strips and fry them in a tablespoon of olive oil until tender, add salt and pepper and set aside. Season steaks with salt and pepper and sprinkle with olive oil. 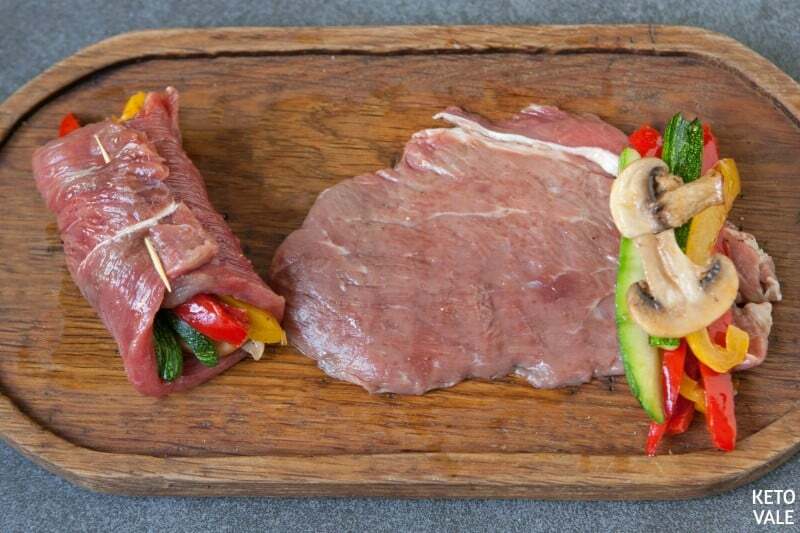 Place some cooked vegetables vertically on each steak, roll it up and secure with a toothpick. Prepare the glaze: in a saucepan heat 2 teaspoons of olive oil over medium heat, add chopped garlic and cook for 1 minute. Add apple cider vinegar, erythritol, wine, rosemary and bring to a boil. Add beef broth (or water) bring to a boil again, then reduce the heat and simmer for 10-15 minutes. In a skillet heat a tablespoon of olive oil over medium heat and fry steak rolls for 2-3 minutes on each side or until done. Drizzle with prepared glaze and serve!